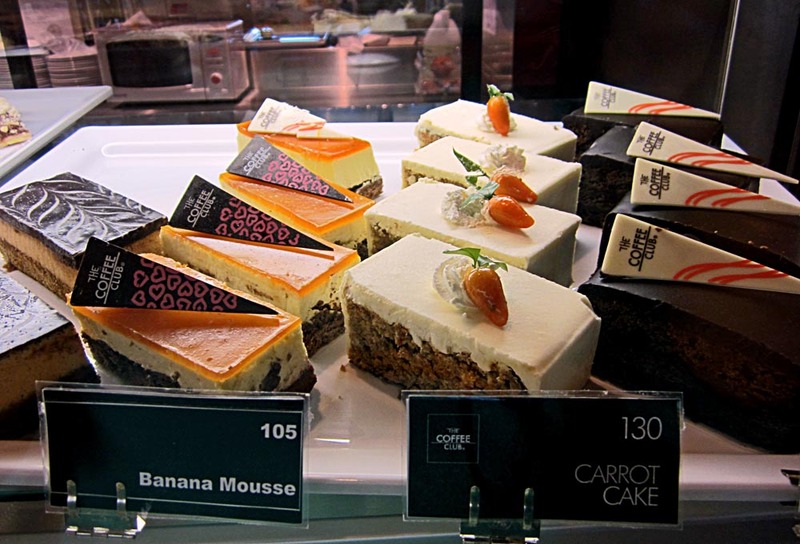 These are images of pastries of different types. Chocolate and cream and also buns and croissant type pastries. 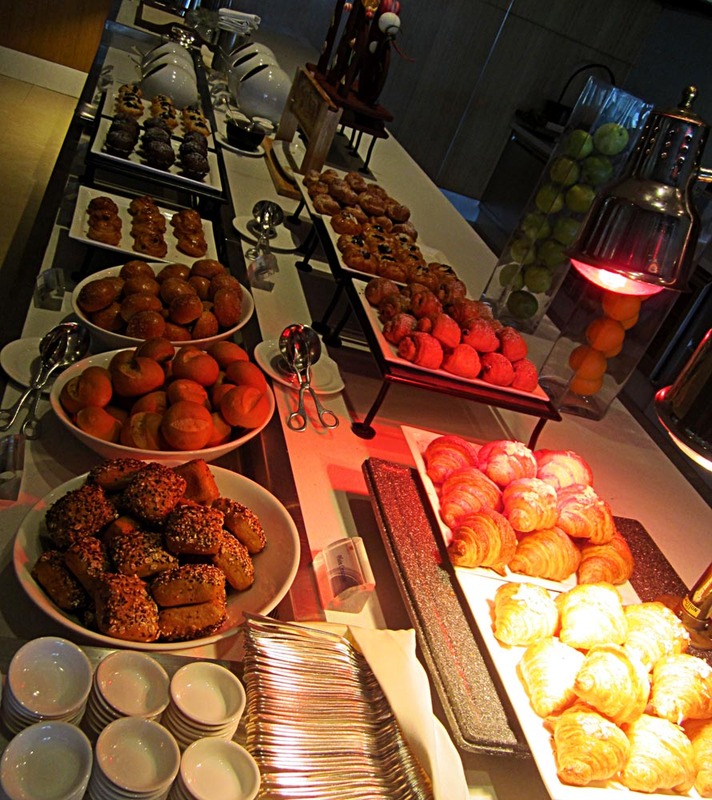 This photo was shot at a breakfast buffet at a five star hotel. 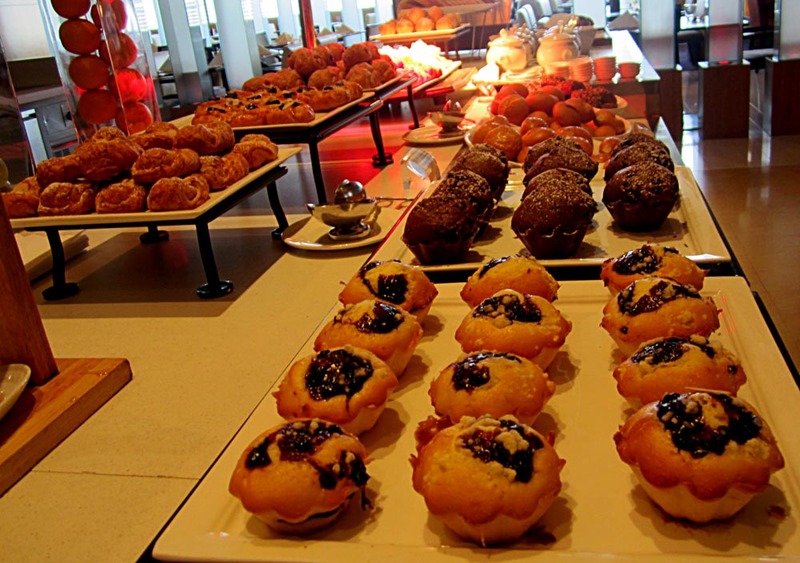 More pastries, cup cakes, and chocolate topped sweet pastries. Also plain buns and cream filled pastries. Again, a picture from a breakfast buffet at a five star hotel. This is a photograph of rich pastries of different types, with chocolate, coffee, vanilla and pinapple cream. Some of these thick cake slices have walnuts and some are cream-filled. 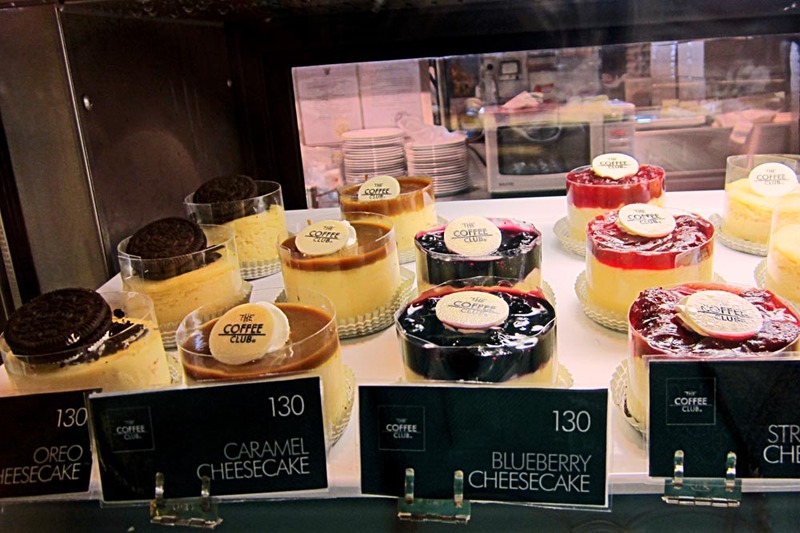 Cheesecakes of blueberry, strawberry, caramel and also oreo cheesecakes. 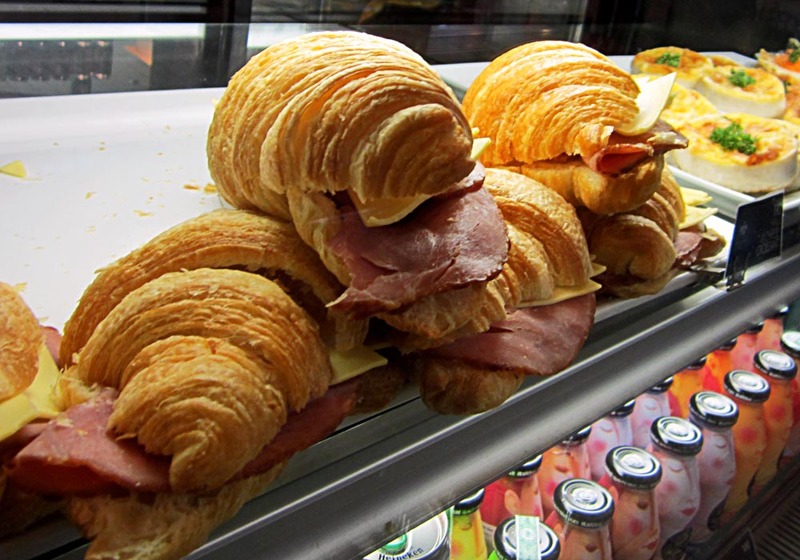 Here are flaky croissant type pastries with a ham filling. 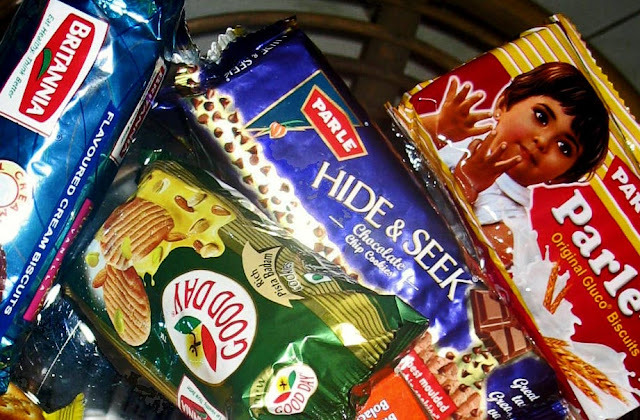 Or try the label "Processed Foods"
These are photographs of the Bangkok skyline, the capital of Thailand. Here you can get a panoramic and breathtaking view of the skyscrapers of Bangkok far into the distance. Here is a snapshot of Bangkok skyscrapers against a blue sky with palm trees in the foreground. Makes a pretty picture! A photograph of the Bangkok skyline with the CPN (Central Pattana) building in the centre of the image. They are a real estate company own the Central World and some other malls and hotels in the city. On either side of the building you can see the tall buildings of Bangkok against a blue sky. Another skyline of Bangkok with the CPM building to the left of the picture. This is a vertical skyline of Bangkok. At the bottom of the image you can see the road and the traffic and at the top you can see the skyscrapers in the distance. Bangkok from the road to the sky. (Higher resolution images are available with me). Related Images: Hong Kong Skyscrapers or Shanghai Skyline in the daylight or Beijing Photographs and Skyline or Kuala Lumpur Skyline or try the label "Skylines" to check out more skylines from other cities of the world, including sketches and silhouettes of skylines. Stray cattle which seems to belong to nobody is a common sight in India, although not as common as stray dogs. 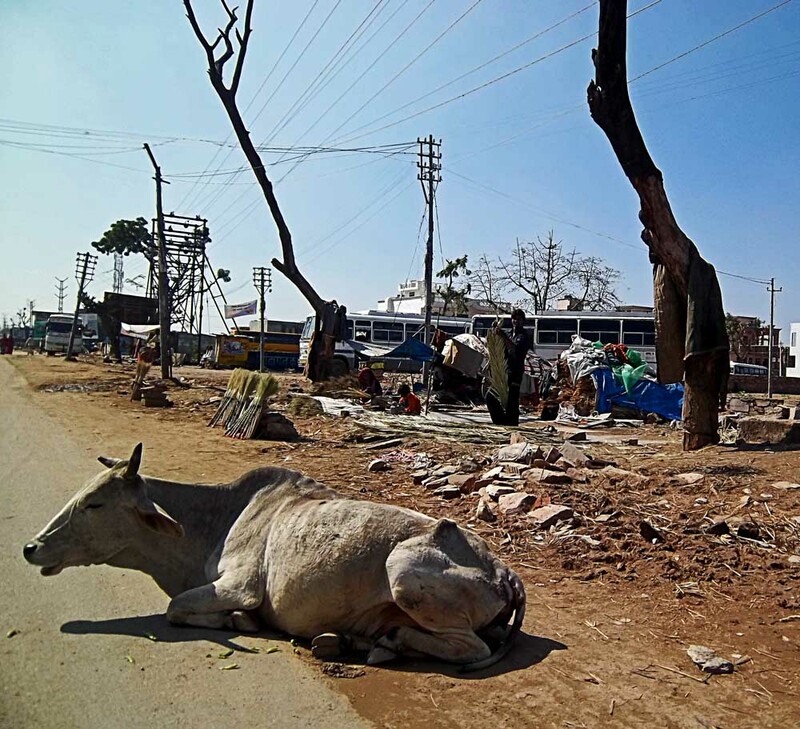 This photo is taken in Rajasthan, a cow is sunning itself on the road. This photo was taken in Mumbai. 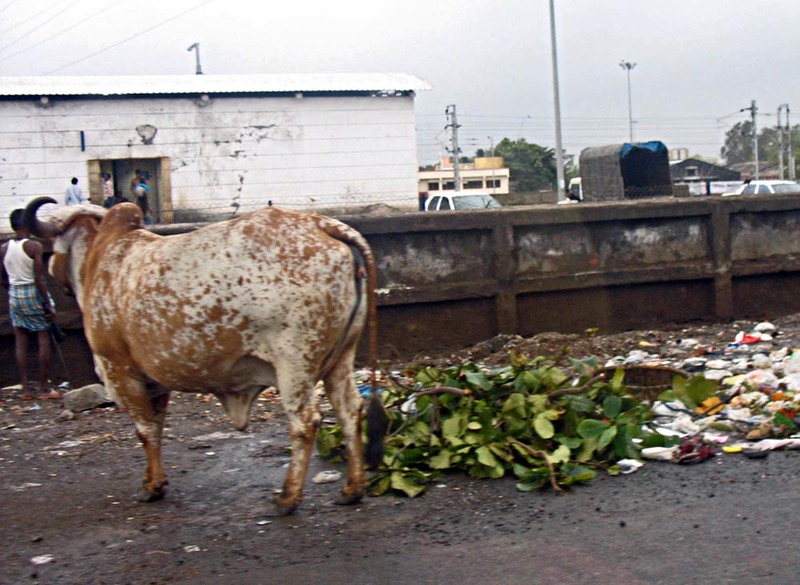 Cows and stray dogs near garbage dumps is a common sight in Mumbai. 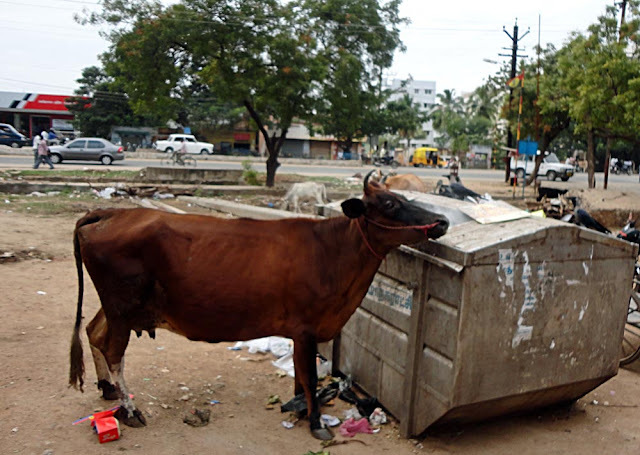 This cow appears to belong to someone, but is still sniffing around the garbage can. 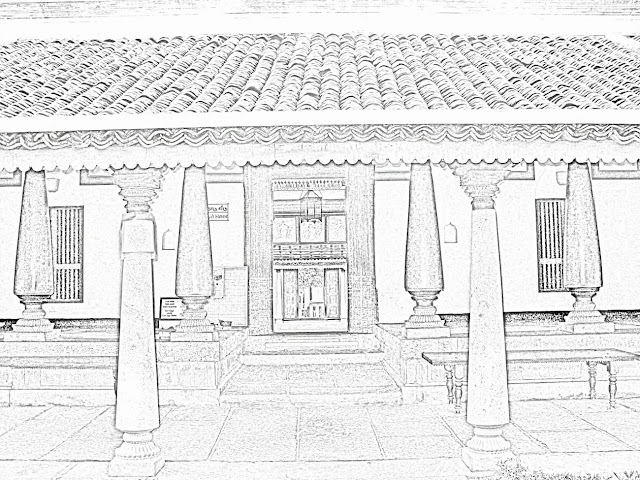 Here are a few sketches of the old type of houses of ancient India. 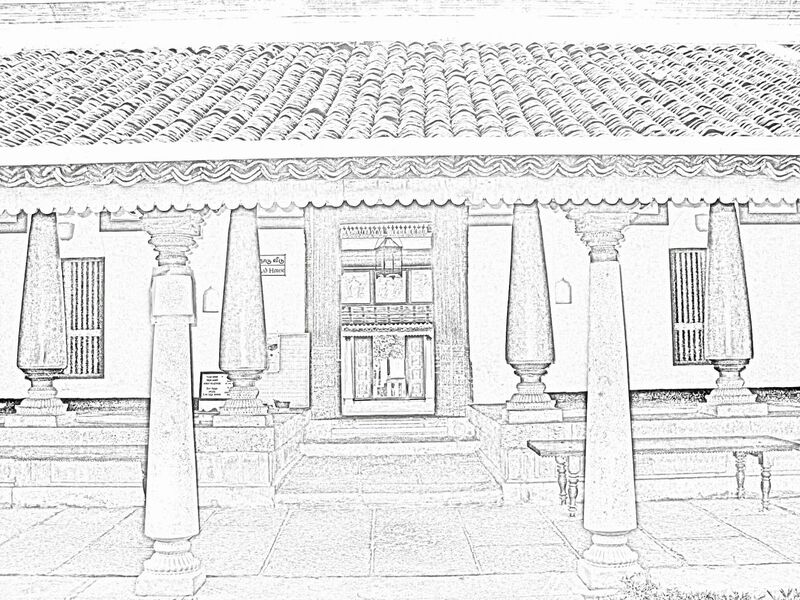 The first one shows the paved courtyard in the centre of the house which was very common in ancient Indian architecture. Photographs of Goddesses are seen on the ceiling at the entrance to the courtyard. In those days Indians invariably lived in large joint families and a courtyard was ideal for the community living, particularly for the women of the house. It also provided sufficient light to all the rooms of the house, important when there was no electricity. This shows the spacious porch outside of the house. The way the house is designed, it will keep cool in summer. 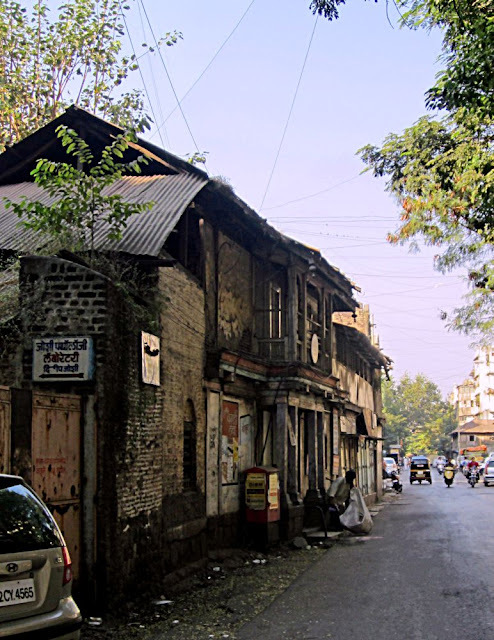 This style of architecture was common in the olden times in India. 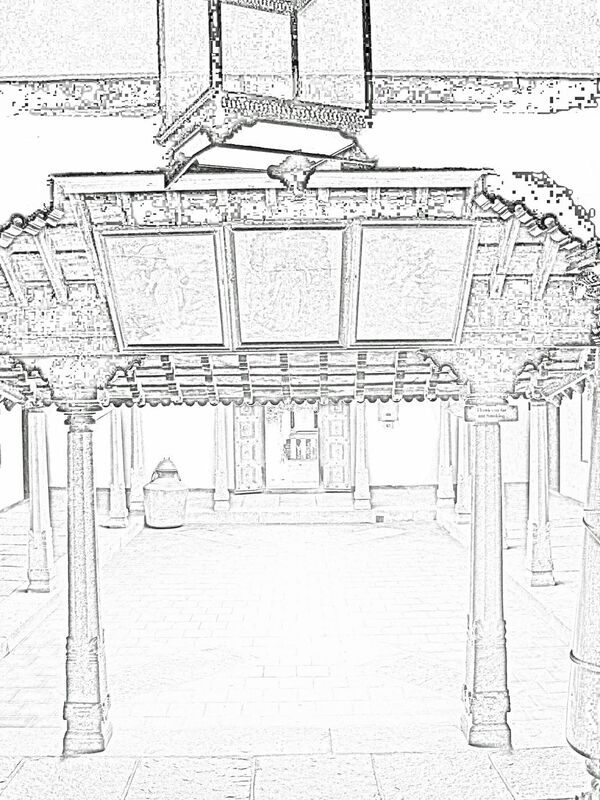 This is a Chettinad type house, from Kerala in South India. 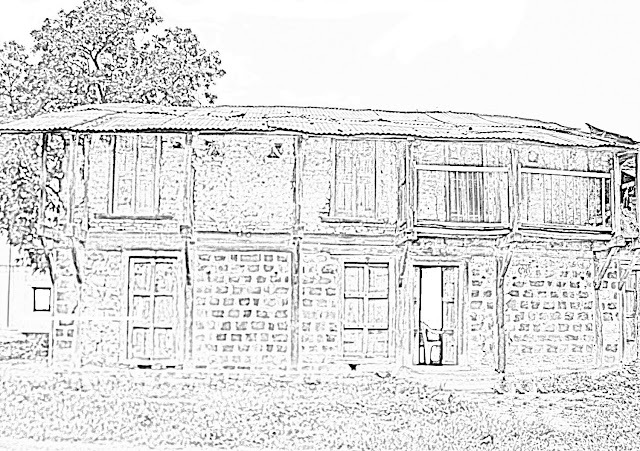 This is a sketch of an old ramshackle house on the outskirts of Nashik. It does not belong to the rich as can be seen from the looks of it. The construction in those days was usually stone and wood. This one has a tin roof, but this is probably new. The building is probably a hundred years old. 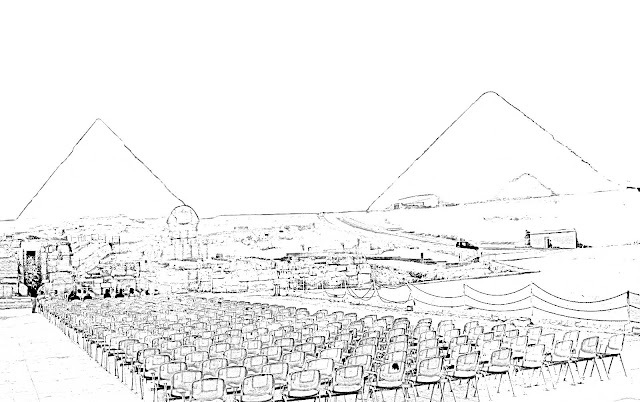 A simple pencil or line drawing of the three main pyramids of Giza. The pyramid on the extreme right is the Great Pyramid, the tallest of the three, the middle one is the Pyramid of Khafre or Chephren and the smallest Pyramid of Menkaure (or Mykerinos) is visible only partly, behind the Great Sphinx. 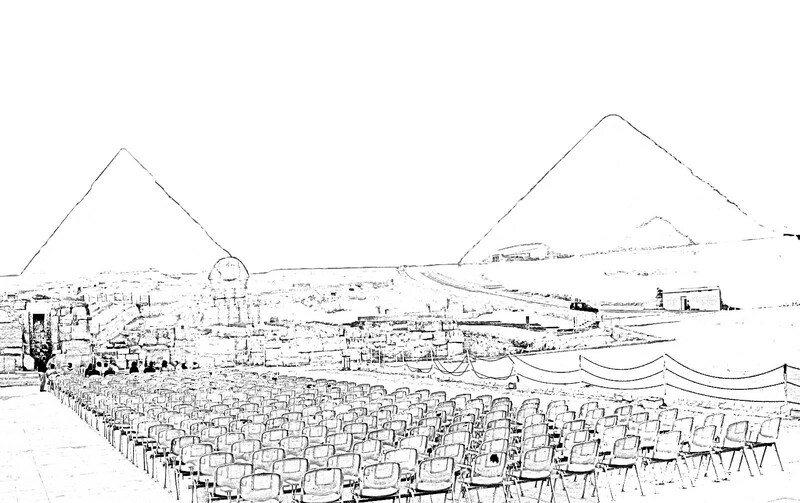 A sketch of the two main pyramids of Giza, the Great Pyramid and the Pyramid of of Khafre or Chephren. The outline of the Sphinx is also visible. A silhouette of the three pyramids of Giza in Egypt. The Great Pyramid, Pyramid of of Khafre or Chephren and the Pyramid of Menkaure behing the Great Sphinx. 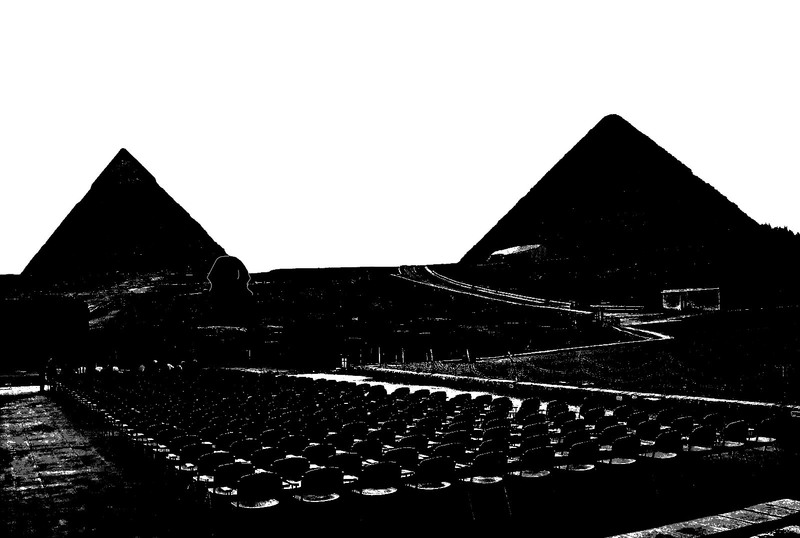 Another black on white silhouette of the two main pyramids of Giza in Egypt. 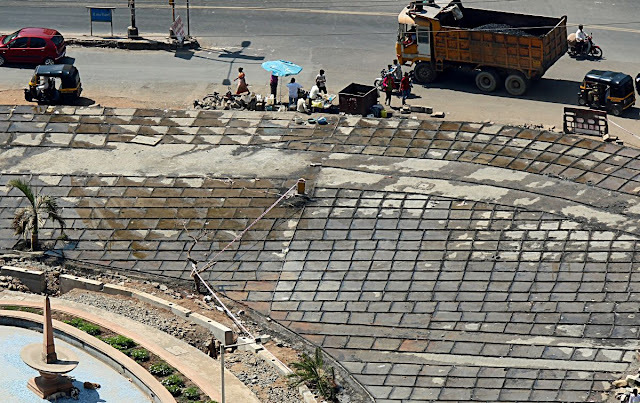 For more related photos try the label "Egypt"
These are pictures of road construction in India. This first one shows concretisation happening on a crowded crossing. 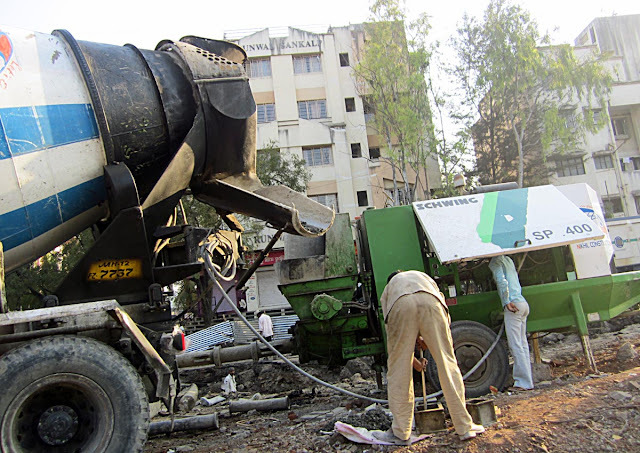 Heavy equipment or machines to mix cement and break up stones can be seen in the photo here where road construction work is going on. A tribal woman construction work is working on building a road. 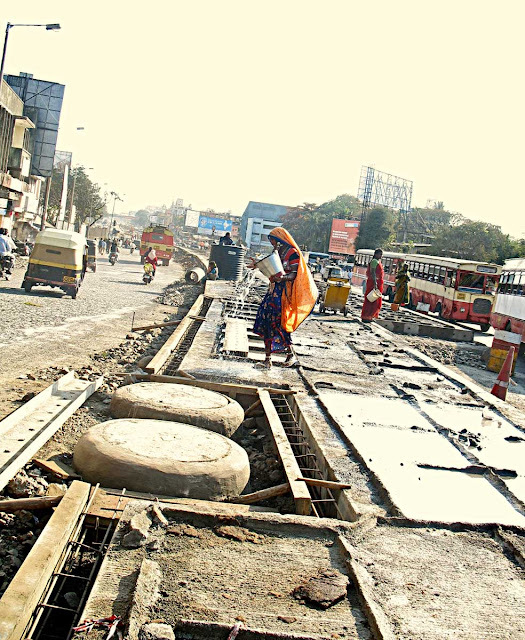 She is pouring water to cure the cement for the concrete road. 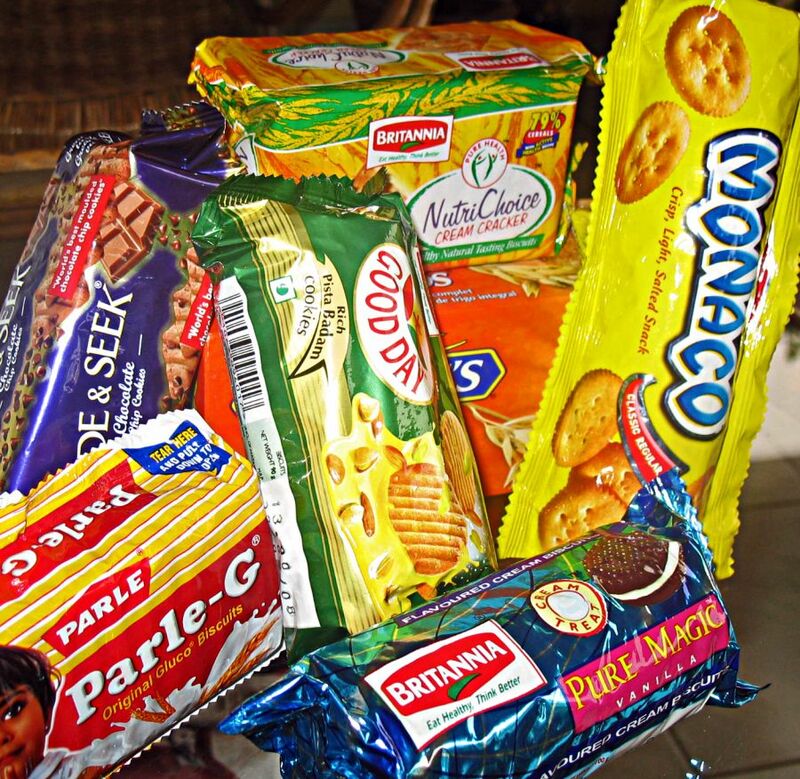 Photos of biscuits packs. These biscuits are of various kinds and from different companies. The first photograph is of some health biscuits like Britannia NutriChoice 5 grain biscuits, Sunfeats Marie Light, Britannia Hi Fibre Digestive and Horlicks biscuits. The packaging and colours used for the packs seems very similar. While white refined flour biscuits like Marie have a glycemic index- (showing how high foods get converted into energy) which could range from 75-90. This is unhealthy. Digestive biscuits have a better glycemic index, around mid-range. The longer the foods stay in the stomach the better it is because it prevents you from becoming hungry again soon! 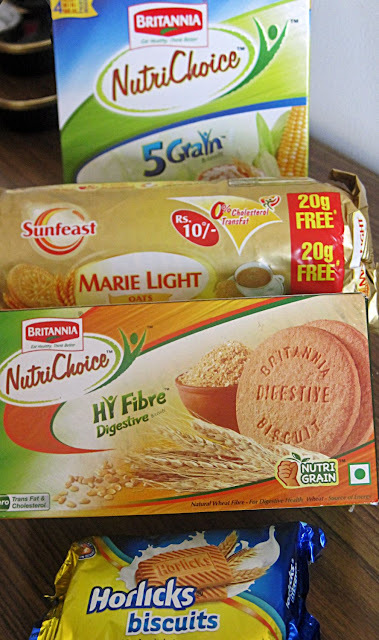 Another view of the packaging of the different brand of biscuits. All in all very colourful packaging, designed to attract children. Or for more try the label "Processed Food" or "Snacks" for cooked snacks. 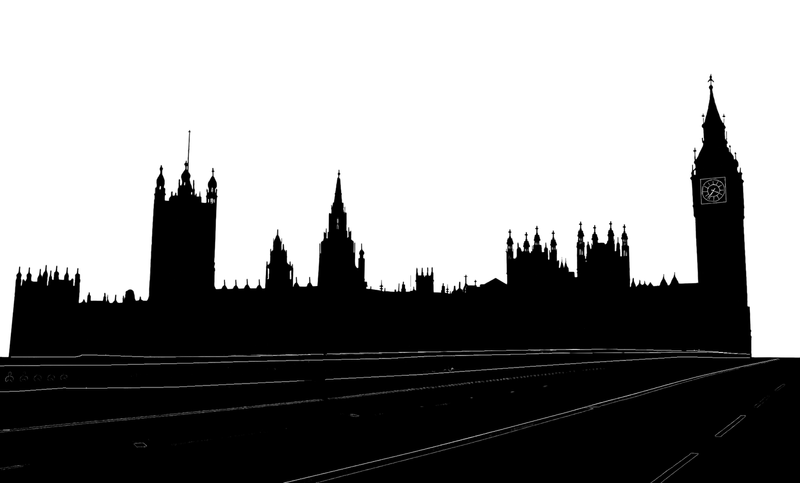 This is a black and white silhouette of the Palace of Westminster and Big Ben. 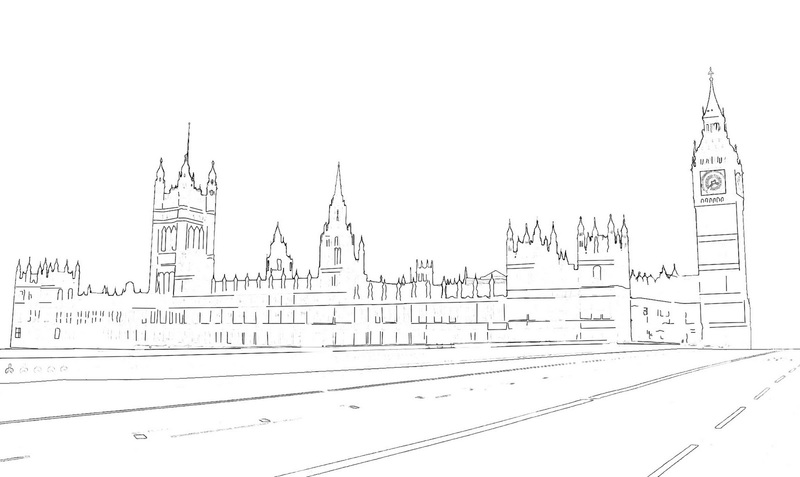 This building houses the British Houses of Parliament. A sketch or pencil drawing of Westminster Palace and Big Ben which is the British House of Parliament. Related Images: Actual photos of Westminster Palace and Big Ben which is the British House of Parliament. This is the half figure of Adolf Hitler, the head of the Nazis who was the Chancellor of Germany during the second world war. 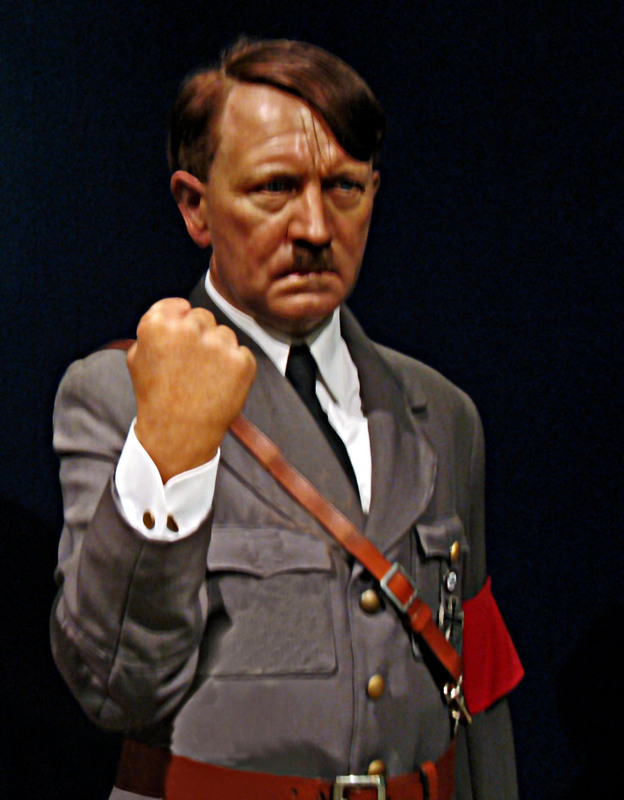 He was a dictator of Nazi Germany and was responsible for the Holocaust. This wax statue can be seen at Madame Tussauds in London, United Kingdom. Taxi drivers or cabbies in Mumbai appear to be a disgruntled lot if one goes by these photos taken at different times in different parts of Mumbai! 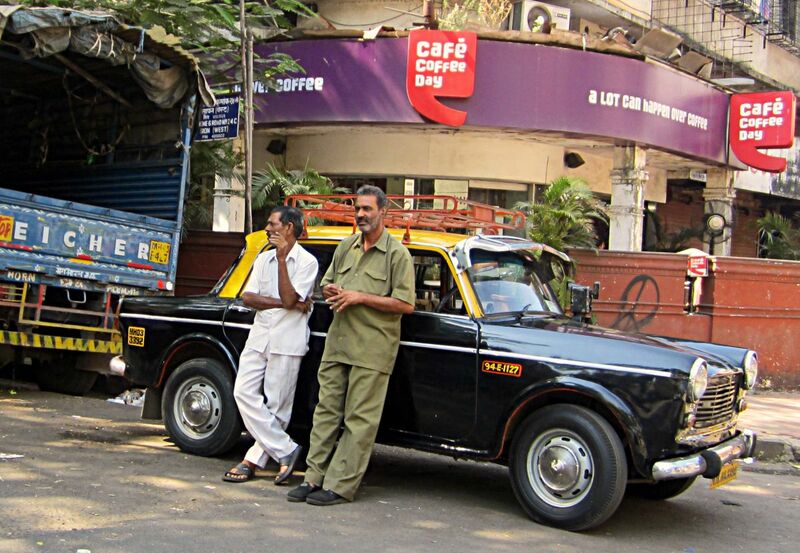 Here are two cabbies chatting while waiting for a fare. 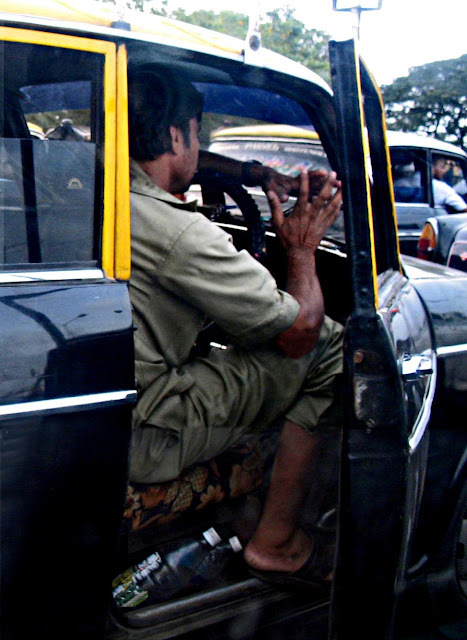 A worried taxi driver waiting at the red light. 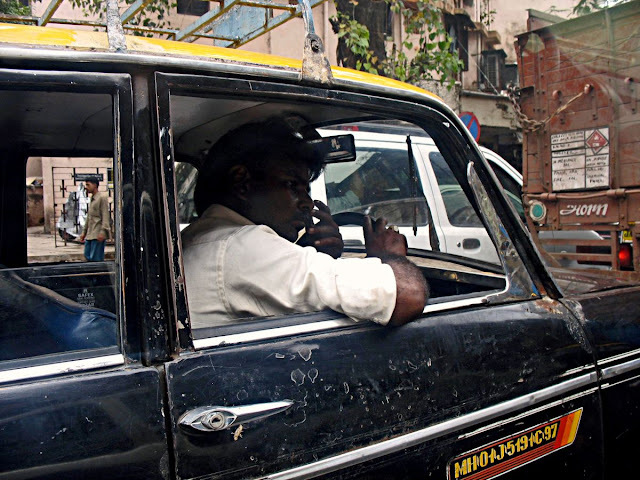 Another cabbie at a junction. 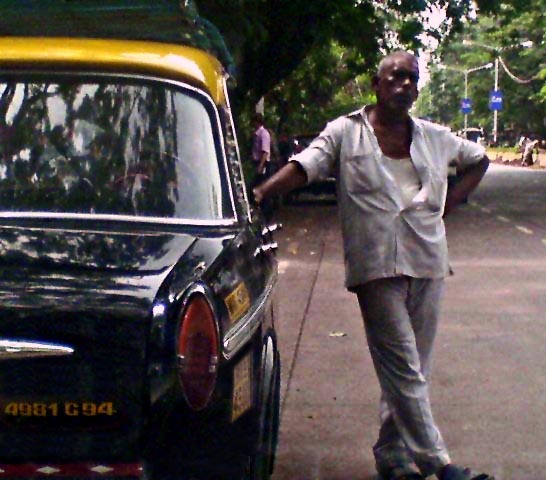 An elderly cab driver in South Mumbai. He is wearing a white uniform. Some wear khaki, some wear white. 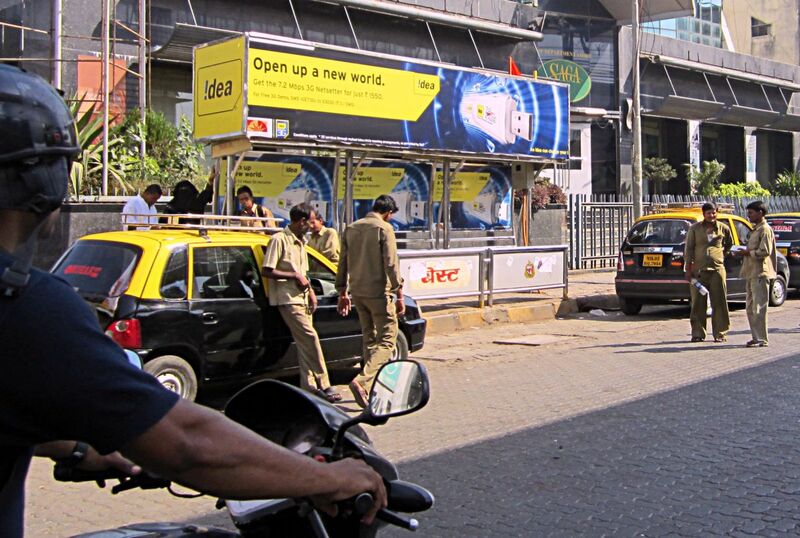 Taxi drivers waiting for a fare near a bus-stop in Bandra. The Kuala Lumpur Skyline looks spectacular mainly because of the Petronas Towers. At night specially these towers shine brightly and cast a glow over the city. They are very brightly lit. The images below capture this phenomena. The first looks like a photograph and indeed it is a photo, although tweaked slightly. Another impression of the Kuala Lumpur skyline. This one is gives an effect of a painting or illustration. Another impression of the Kuala Lumpur Skyline at night. The image has a dotted texture which brings out the outlines of the skyscrapers at night. 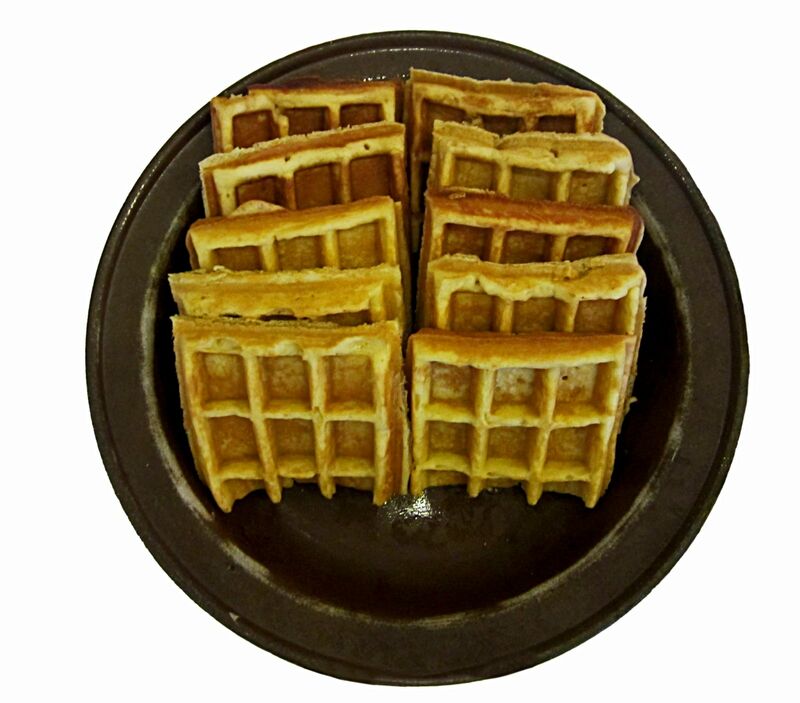 This is a cut-out photograph of a plate of waffles against a white background. Larger one is available. 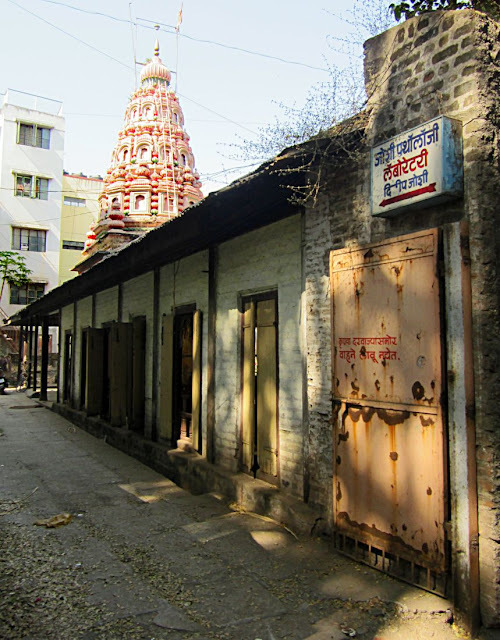 These are photographs of an ancient temple in Sadashiv Peth, in the heart of Pune city. 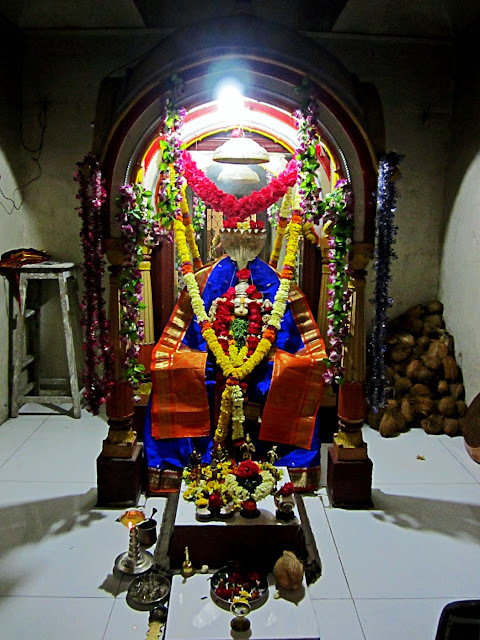 It celebrates the deity Narsimha, an avatar of Vishnu. 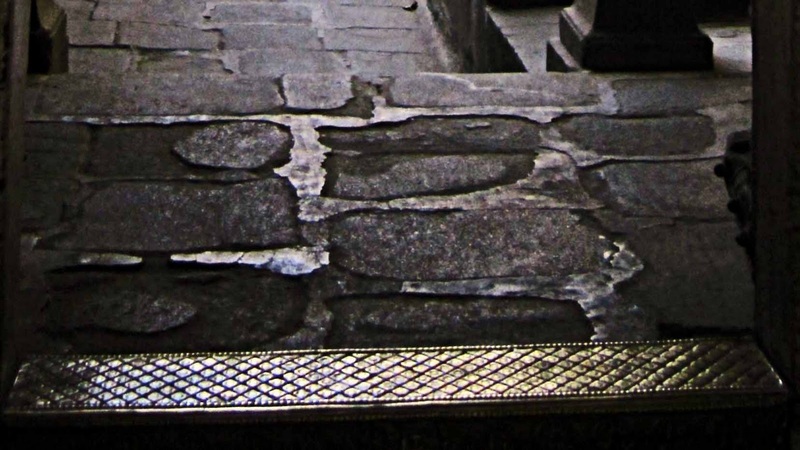 In the photograph below there is a the narrow road outside the temple. No one would guess that an old temple lies inside. The structure itself is derelict from the outside. A closer look at the gate or entrance of the temple The date it was established is clearly given here: 1774. It's called the Laxmi Narsimha Mandir. The pillars and arches are made of stone and wood. 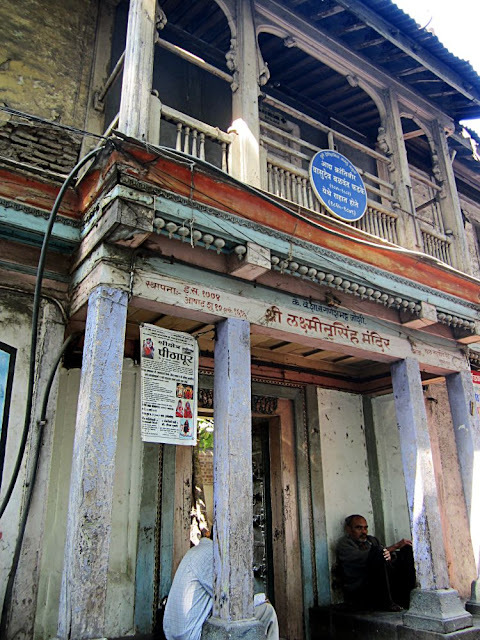 Laxmi is Vishnu's wife and her idol is also present in this mandir. 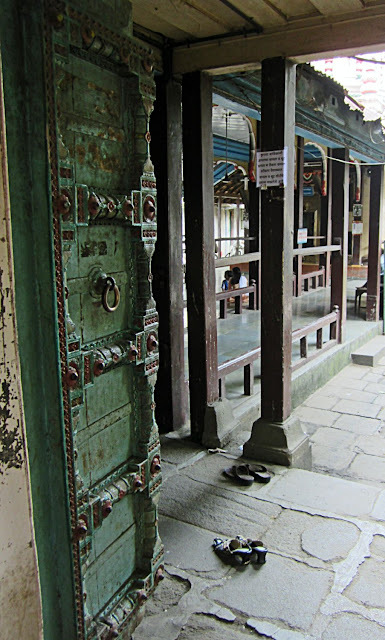 The the heavy wooden door that gives you entry into the temple. The thick brass ring in the centre of the door is the door knocker. In the olden days such knockers were common as there was no electricty for bells. This is a closer look at what is called "Umbartha" in Marathi and is called the "Threshold" or "Saddle" in English. It is a door part and makes up the door frame. It is the slightly raised platform underneath the door. This one is made of engraved brass. This is a view from the left side of the temple from a gate that is usually shut. The steeple of the temple has been freshly painted. It also looks refurbished in some way. 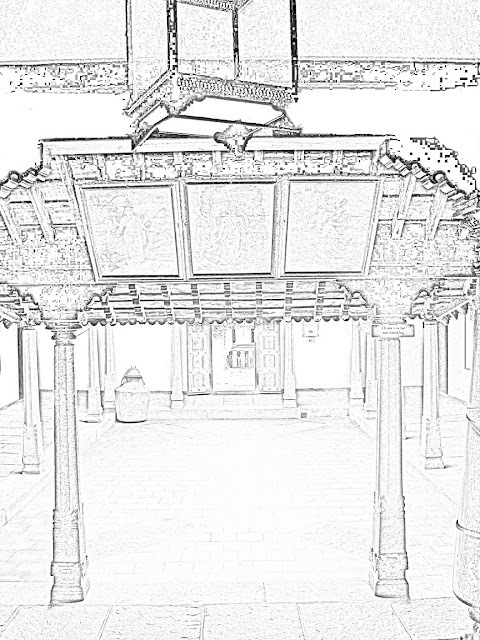 This is the view that one gets as one steps into the temple from the main door. The stone tiles of the flooring are shiny from use. 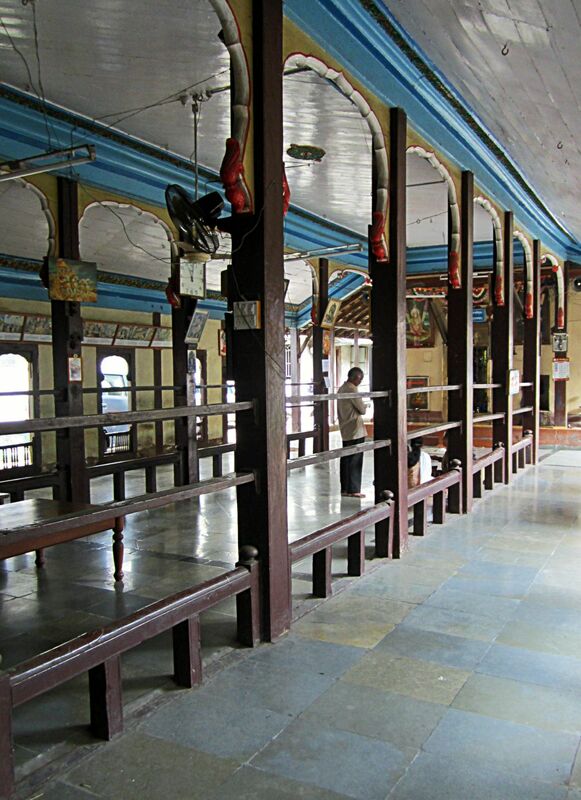 This is the area where the main diety of the temple resides. Narsimha and his consort Laxmi. 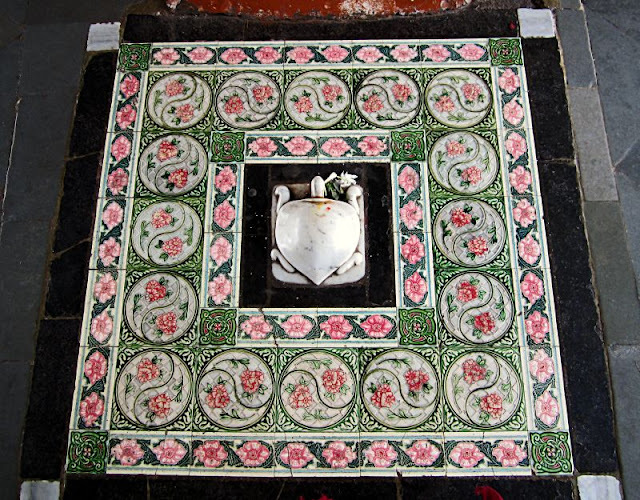 This is a close-up of the marble turtle seen in the above photograph. The turtle is sacred and is a cultural symbol for many Eastern cultures. 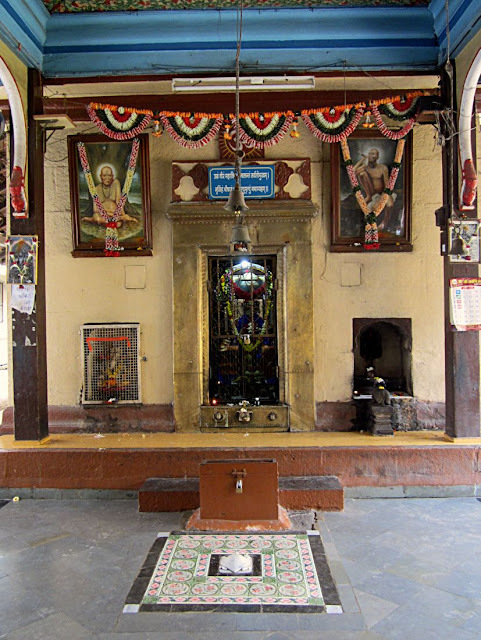 This is the image of the main diety inside the temple. Narsimha. A closer look near his left hand will reveal the head of Laxmi, near the flower garland. A heap of coconuts can be seen in a corner of the sanctum. These are given by devotees as offerings.